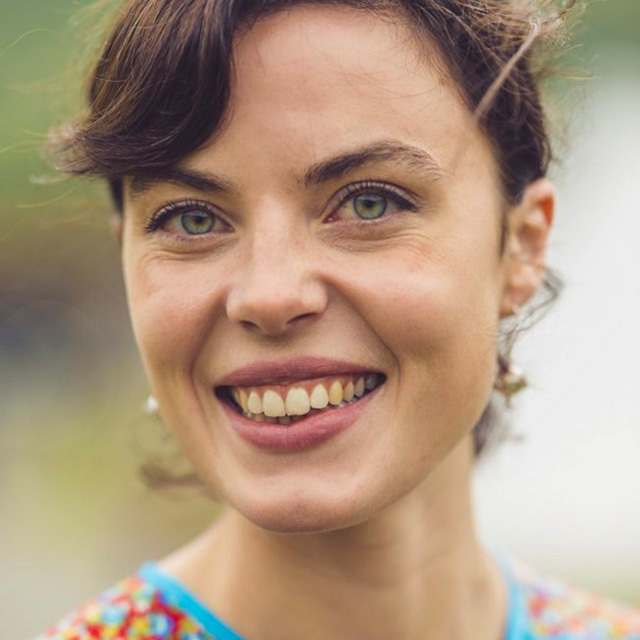 Karoline Trollvik (1988) is the current festival director of Riddu Riđđu Festivála, an international indigenous arts and culture festival hosted each summer since 1991 in the coastal Sami community Olmmáivággi (Manndalen) in Gáivuotna (Kåfjord) municipality in Norway. She was born and raised in Gáivuotna, gained a Masters degree in Anthropology of Development at the University of Bergen where she focused on contemporary indigenous identities in relation to her fieldworks on Taiwan. After her studies she returned home to Gáivuotna for the position as festival director in 2014. 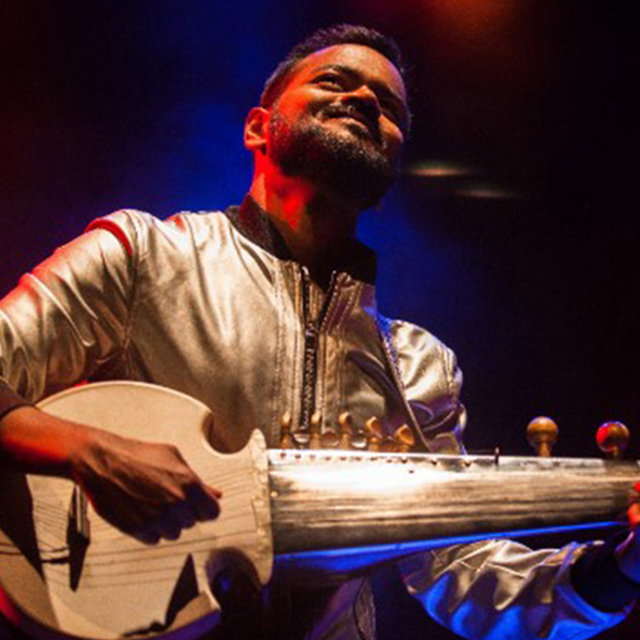 Soumik Datta is a British Indian composer and virtuoso player of the sarod – a 19 stringed fretless instrument with a nomadic history spanning ancient Afghanistan, colonial India and modern day global downloads. His hallmarks are his collaborations with eclectic artists: Beyonce, Jay-Z, Bill Bailey, Manu Delago, Akram Khan, Nitin Sawhney, Anoushka Shankar, Bernhard Schimpelsberger, Talvin Singh, Joss Stone, Shankar Mahadevan, City of London Sinfonia, and London Philharmonic Orchestra to name a few. Soumik lives in London and tours internationally. His touring band is a versatile quartet with a notable sonic spectrum between Indian ragas, drum-n-bass, and anthemic choruses. He has been a visiting artist at Shakespeare’s Globe, Southbank Centre, Royal Opera House, RichMix, Horniman Museum, British Film Institute and British Museum. In April 2017 he directed his first TV series on rural musicians in India. The series titled Tuning 2 You was launched on Channel 4 and 4OD. Building on the success of the national regional arts event, ARTLANDS Dubbo 2016, Regional Arts NSW (RANSW) has developed a 4 year program working in partnership with 4 Regional Arts Development Organisations (RADOs) to deliver a regional conference/arts festival to demonstrate regional excellence and continue to build on the conversations, partnerships and opportunities for regional artists and arts organisations that were an outcome of ARTLANDS. The project plans to engage regional and metropolitan artists and arts organisations around the identified priority areas of First Nations and Aboriginal Arts, Arts and Health (including Creative Ageing), Regionalism and Principles of Practice. It was strongly felt across the sector that the momentum should be continued and that NSW has clearly demonstrated leadership in this area. The timing of artstate lismore 2017, 30 November – 2 December will align with the opening of the new Lismore Regional Gallery, the activation of the new Quadrangle space and the opening of the world premiere of NORPA’s new production Djurra. The event will showcase the value of good quality cultural infrastructure in regional NSW highlighting excellence in regional arts, economic development through increased visitation of cultural tourists and the benefit to local businesses of an active art community. A two day conference will commence on Friday with morning sessions made up of plenary keynotes and panels exploring the themes of Partnerships and Practice. Afternoon breakout sessions will drill further into specialist areas, concluding on Saturday evening with a conference dinner. A cultural program combining currently programmed work will happen during the period 30 November – 3 December, with commissioned and remounted work not seen beyond the local area. The program will also include exploration and activation of public spaces, community engagement, film, visual arts, theatre and music across multiple genres. Both the conference and the cultural program will include Indigenous artists. The cultural program will be open to the general public and programmed to commence on Thursday evening with an opening event and will extend through Sunday. 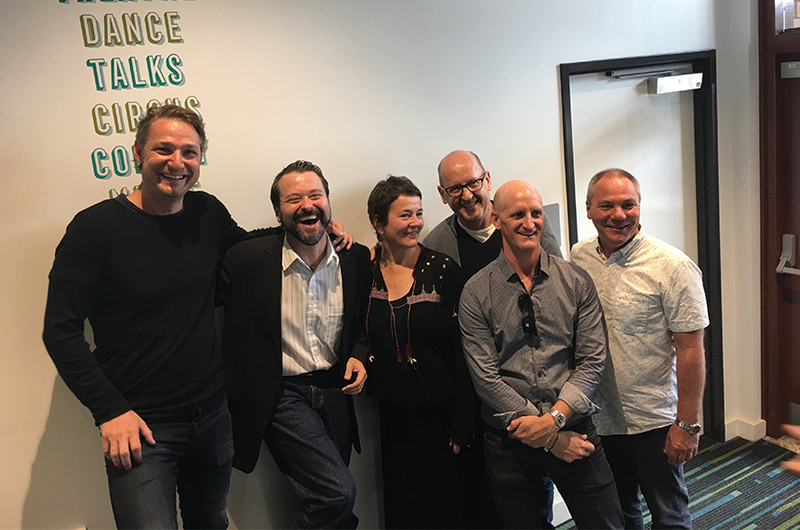 Image | Artstate stakeholders – Julian Louis, NORPA; Ken Crouch, Screenworks; Anita Bellman, Northern Rivers Conservatorium; Peter Wood, Arts Northern Rivers; Brett Adlington, Lismore Regional Gallery; Patrick Healey, NORPA. Banner Image | Blackboi, photo courtesy of Blackboi; TORA, photo courtesy of TORA; Tullara, photo by Brittany Murphy. Front page Image | Ben Roche, Deputy Chair Regional Arts NSW. Peter Wood, Executive Director Arts Northern Rivers. Isaac Smith, Mayor Lismore City Council. Elizabeth Rogers, CEO Regional Arts NSW. Hon Ben Franklin MLC. The event will commence with two days of keynote speakers and panels exploring the themes of Partnership and Practice and other specialised areas. Featured speakers in the program will include British-Indian composer and virtuoso player of the sarod, Soumik Datta; Director of the Norway international indigenous arts and culture festival, Riddu Riđđu Festivála, Karoline Trollvik; and member of the Bundjalung nation Rhoda Roberts, who is Head of Indigenous Programming, Sydney Opera House, Creative Director, Gallery & Events, Festival Director, Boomerang Festival and Curator of the second annual Parrtijima – A Festival in Light event in Alice Springs. Arts Northern Rivers Executive Director Peter Wood says, “Artstate will be delivered in all 4 regional centres in partnership with the local Regional Arts Development Organisation. 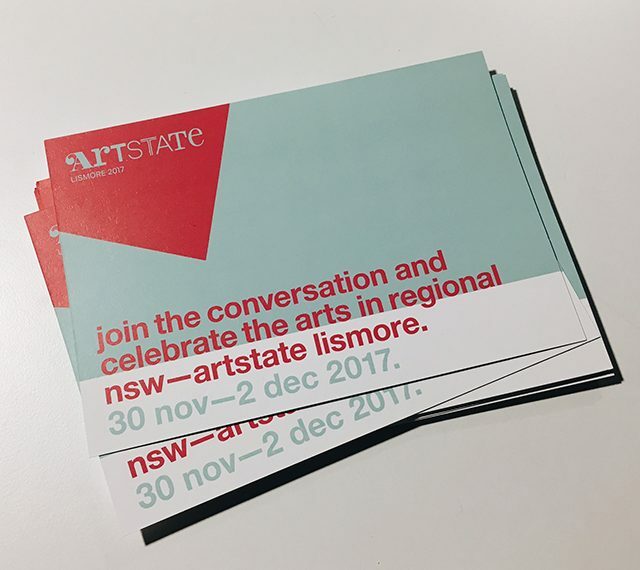 For Artstate Lismore, Arts Northern Rivers is working closely with Regional Arts NSW to deliver a cultural program that showcases the exceptional talent in our region”. This cultural program will run alongside the speakers program and features local artists and performers from the Northern NSW region including local Lismore theatre company, NORPA with the world premiere of their new production Djurra; a free public concert by the Regional Youth Orchestra NSW featuring talented students from Northern Rivers Conservatorium; Cheeky Cabaret presented by Brett Haylock from the Brunswick Picture House; Tom Avery aka Blakboi; and the Spaghetti Dancers from Byron Bay. The opening of Artstate Lismore will also coincide with the opening of the new Lismore Regional Gallery building and exhibition.